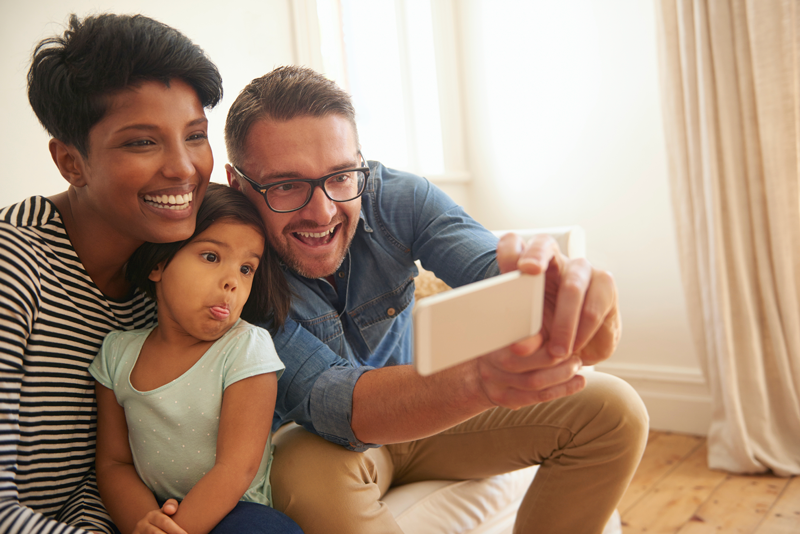 Capture the family moments you don’t want to forget. Don’t let the good times slip away: use the family journal to capture and share quick stories and family photos. Keep memories of vacations, holidays, perfect spelling tests, amazing soccer goals, and fabulous family trips. 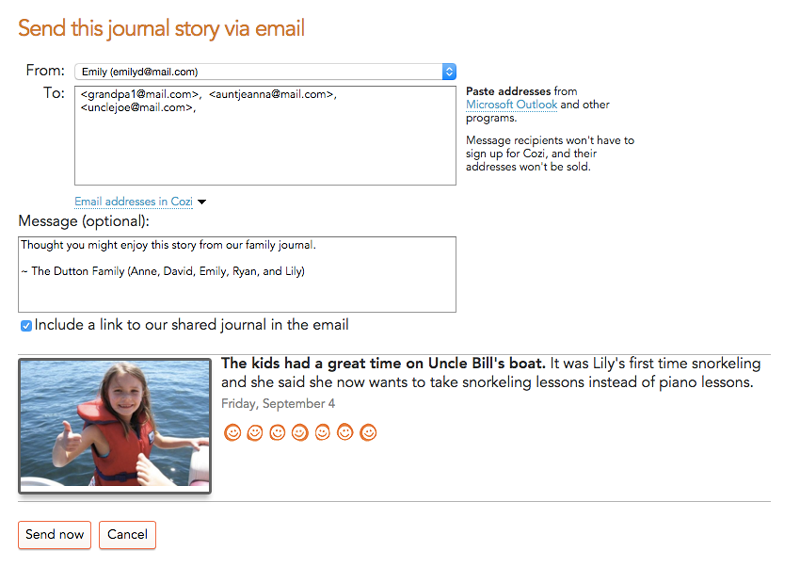 Cozi Family Journal is the fast and simple way to keep memories and fun everyday moments, so you can enjoy them again and again. Jot down a memory and upload a photo if you want. No need to write a novel, just a sentence or two will do. Anyone in the family can access the shared calendar, get reminders, and see lists from any computer (PC or Mac) or any mobile device (iPhone/iPad, Android phone/tablet). Cozi is part of the Parents Network. ©2006-2019 Cozi Inc. All rights reserved. FAMILY LIFE. SIMPLIFIED. is a registered trademark of Cozi Inc.